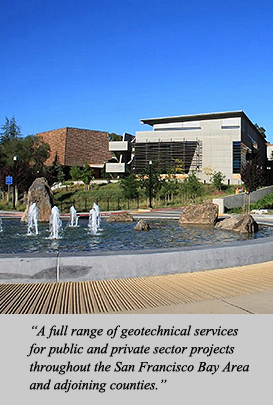 CLEARY CONSULTANTS, INC. is a Santa Clara County based consulting engineering firm specializing in geotechnical and geological engineering. 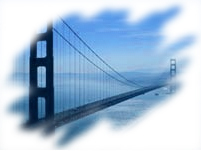 Serving the construction industry for over 40 years, we have extensive experience with the local soils and geological conditions within the greater San Francisco Bay Area and Northern California. We offer a broad range of geotechnical services to public and private sector clients during the planning, design, and construction phases of the project. Our experience includes a variety of projects ranging from single story and large multi-story buildings, energy/solar panel improvements, residential developments, school campus improvements, aquatic centers, athletic facilities and geohazard investigations. CLEARY CONSULTANTS, INC. provides you with the solutions you require, and the confidence that you are receiving consistent and accurate information. Our professional staff is experienced in the many aspects of geotechnical engineering and engineering geology, and is uniquely qualified and committed to utilizing their skills to better serve our clients. Thank you for visiting our website ... we welcome your questions, comments and suggestions.